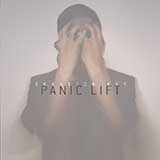 Panic Lift has carved its niche in the dark electronic music scene with a blend of hard industrial, elements of Synth-pop, Dance and Rock. The new album, Skeleton Key, once again proves that the only constant element of the band is change. Fearlessly diving through and re-imagining, shifting and blending genres, Skeleton Key shows why Panic Lift is a unique and innovative act.